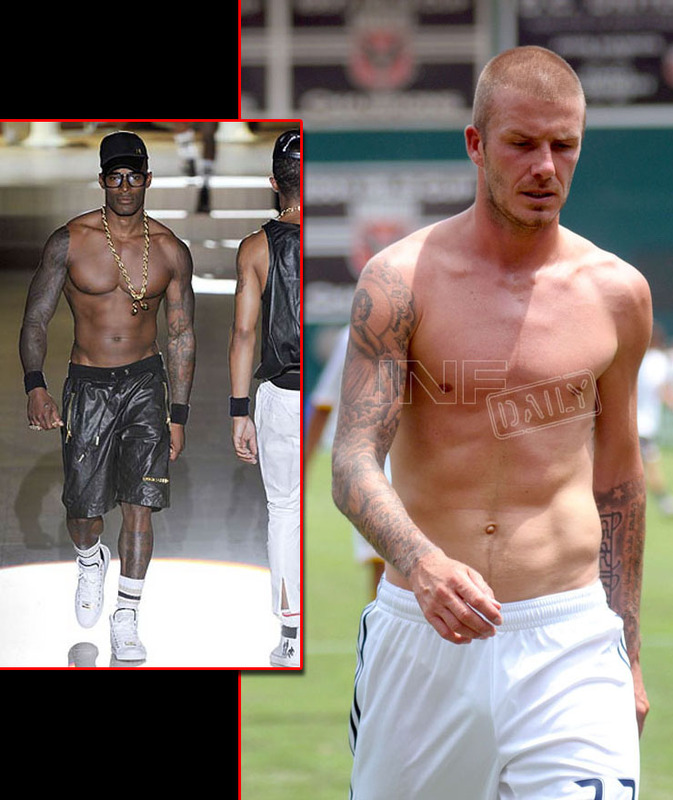 I'D HIT THAT WHO'S HOTTER DAVID BECKHAM OR TYSON BECKFORD? Here is today's edition of "I'd Hit That". Soccer star David Beckham was caught shirtless while playing soccer. Becks is currently modeling some racy Armani Underwear ads and recently unveiled his Emporio Armani billboard. Supermodel Tyson Beckford was looking good as he headlined the DSquared2 Menswear Fashion show in Milan. Who do you think is hotter?